In 2007 I was in a traumatic car accident that left me a T4 paraplegic (meaning I can’t feel from the chest down) at the age of 21. I have always kept a positive attitude in regards to my injury, and I live every day to the fullest with a smile on my face. 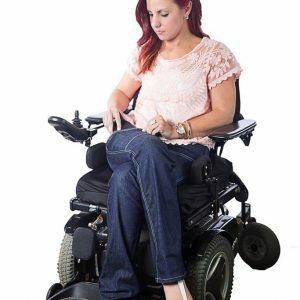 I’m designing jeans for other people in wheelchairs that are both functional, and fashionable. I want to make it possible for those with disabilities to be able to express their “alter-ego” through fashion while breaking down social barriers. Adaptable clothing is hard to find, especially if you want to look fashionable. 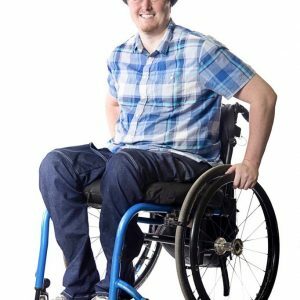 The adaptable jeans are just the beginning of clothing that has all the fashion and all the function for someone in a wheelchair. 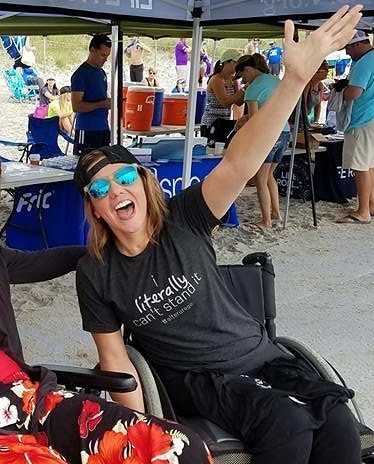 People with disabilities should have just as many clothing options. After my injury, I graduated from Morehead State University in December 2011 with a Bachelor’s degree in Small Business Management and I was crowned Ms. Wheelchair Kentucky 2012 where I served as an advocate for those in wheelchairs traveling the US sharing my story. Now, I serve as a board member for both Build Inclusion, Inc. and the Kentucky Congress on Spinal Cord Injury (KCSCI); work part time at my family’s business; peer mentor for new spinal cord injury patient at Cardinal Hill Rehabilitation Hospital/Easter Seals of the Bluegrass; and a member of Kentucky Appalachian Rural Rehabilitation Network (KARRN).